DESCRIPTION: IWS began the initial steps of their Design-Build contract for the Wastewater Treatment Facility serving the La Pradera Phases 2 – 6 Development in Santa Fe, New Mexico. The project is environmentally sensitive focusing on water management and conservation. 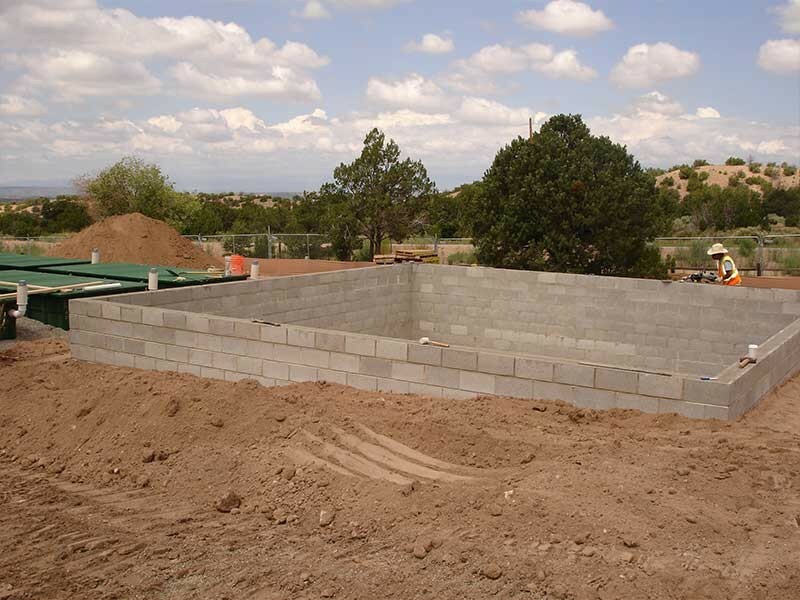 In July, IWS began the initial steps of their Design-Build contract for the Wastewater Treatment Facility serving the La Pradera Phases 2 – 6 Development in Santa Fe, New Mexico. The project is environmentally sensitive focusing on water management and conservation. The subdivision will consist of 157 single family homes, on the south end of Santa Fe. The homes are environmentally-conscious with innovative water conservation technologies throughout. The average wastewater flow per home is estimated to be 120 gallons per day which is low relative to standard wastewater flows. The wastewater treatment plant will treat and recycle the effluent for landscape irrigation and potentially to reuse in the homes for toilets. IWS is currently in the design phase with construction to begin in late fall. The treatment system includes 3, 25,000 gallon primary tanks; 1, 10,000 gallon anoxic tank; 1, 25,000 gallon recirculation tank; 9, AX-100 Advantex Filter Pods and 1, 15,000 gallon dosing tank. Jamie Miller, PE (New Mexico), Principal Engineer at IWS says, “The environmental conservation, planning, and engineering demonstrated at La Pradera is taking hold nationwide. Santa Fe is at the forefront of this environmental wave due to the environmentally knowledgeable residents coupled with the County and State’s progressive regulations thatte nd to allow the implementation of more innovative methods of treating and disposing of wastewater”. IWS believes that as regulators across the county begin to notice the innovative solutions that are being implemented for projects like La Pradera, they will become increasingly focused on encouraging similar sustainable solutions for developments everywhere. In addition to a friendly regulatory environment in New Mexico, private developers are beginning to realize that they can implement cost effective methods for treatment and disposal of wastewater while improving the environmental sustainability of their developments. IWS is excited to be at the forefront of the movement.